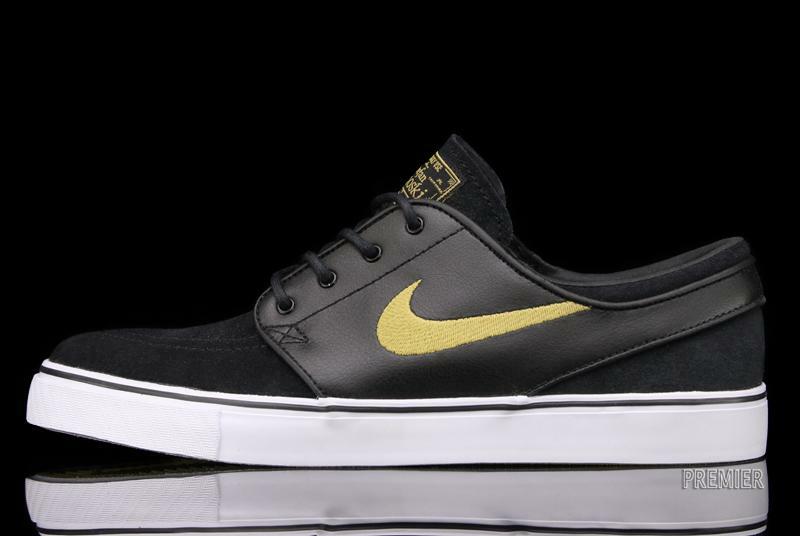 Part of the new April delivery, Nike SB drops a clean new version of the Stefan Janoski pro model in black and metallic gold. Part of the April delivery, Nike Skateboarding is releasing a clean new colorway of the Stefan Janoski pro model this week. 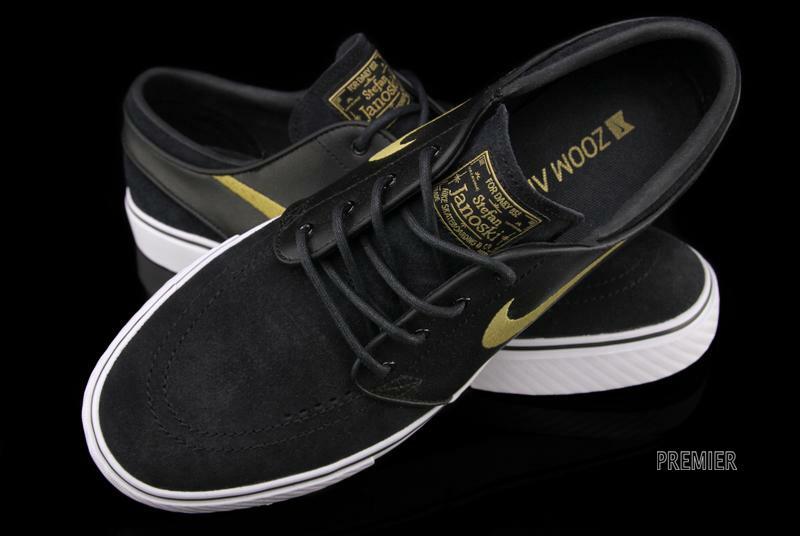 The Black/Metallic Gold Nike SB Zoom Stefan Janoski features a black suede and leather upper. 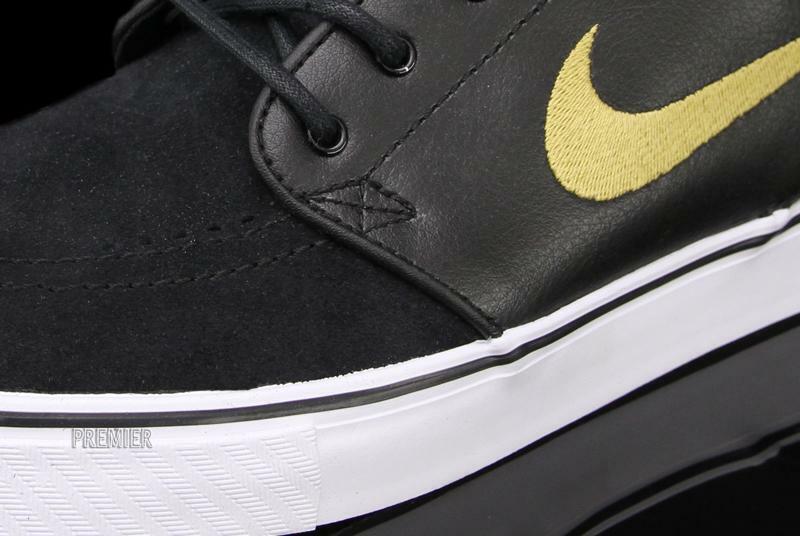 Metallic gold accents, along with black striping on the vulcanized sole, make for a clean, classic look. 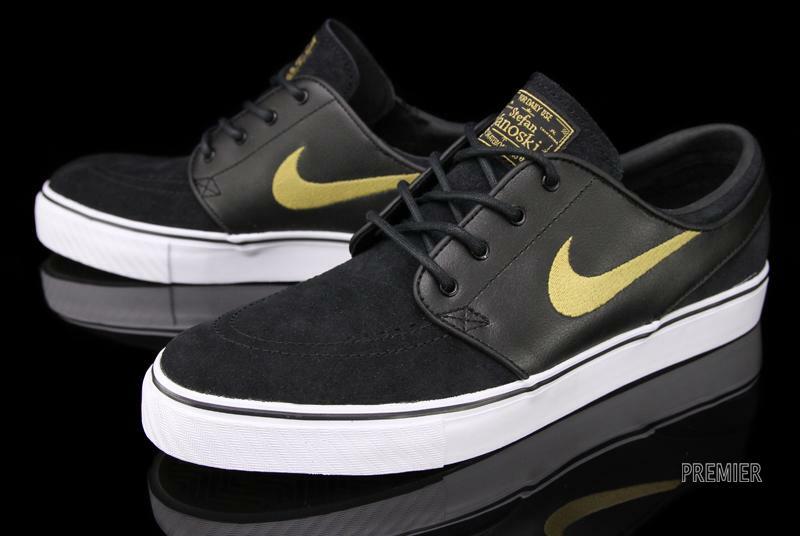 The Black Metallic Gold Nike SB Zoom Stefan Janoski is available at select Nike SB accounts, including online at Premier.